The arrival of Rolls-Royce's new convertible means a new task will be added to the service department's checklist: oiling the teak decking. Due in January, the model incorporates the 100EX concept car's yacht-like wooden planking behind the passenger compartment. 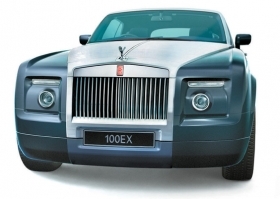 Warns Rolls-Royce CEO Ian Robertson: "It will go gray like your garden furniture unless you oil it at regular intervals."